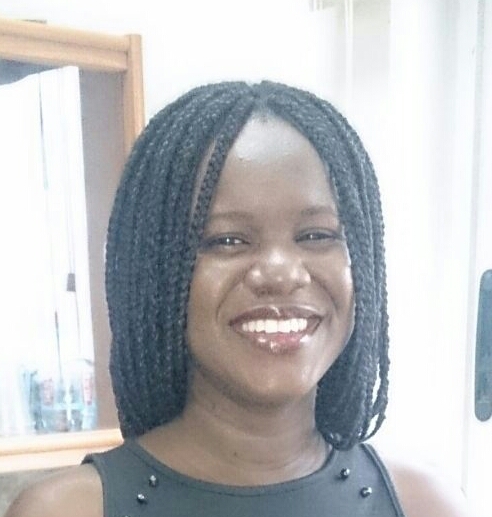 Christabel is a program management and evaluation specialist with over ten years’ experience. She has worked directly in the subject areas of economic development, education policy, gender, human rights, agriculture and trade; and is skilled in the areas of qualitative and quantitative monitoring and evaluation, project and policy design, and capacity building. She currently works as a Program Specialist in the Social Protection and Labor Global Practice at the World Bank Group. Prior to joining the Bank, she was the program manager for the USAID’s Learning, Evaluation and Analysis Project contract, where she led the implementation of cost-benefit analyses, and policy and program evaluations in several countries including Liberia, Uganda, Ethiopia Guatemala, Honduras, and Nepal, Philippines, and Peru. Her international development experience also includes working with UN Development, UN Food and Agriculture Organization, and UNWOMEN. 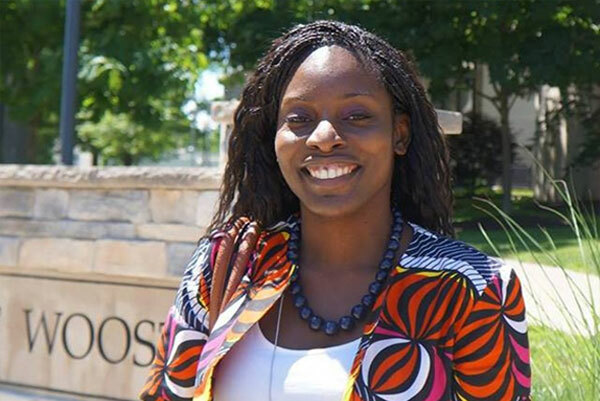 Christabel has a Masters in International Affairs degree in Economic and Political Development from Columbia University, and a Bachelor of Arts degree in International Relations and Political Science from the College of Wooster. Outside work, she loves to swim, read, travel and take pictures. She is particularly passionate about mentoring and education. Christabel founded Ahaspora in 2011, and is responsible for the overall success of the organization, providing oversight for its projects. As a User Experience Researcher with more than 15 years of experience in software development, David Hutchful is committed to and passionate about designing and creating appropriate technology solutions that are informed by a nuanced understanding of the socio-economic and cultural contexts of the problems. David is currently the Director of Technology Innovations at the Grameen Foundation working at the intersection of technology and international development. In this capacity he contributes to the strategic design and implementation of innovative solutions including the award winning mHealth intervention, MOTECH. Previously, he was a member of the Technology for Emerging Markets (TEM) Group at Microsoft Research. In addition to other award winning innovations, Mr. Hutchful co-developed a scalable content creation model and a software platform that has simplified and reduced the cost of creating and sharing educational courses freely online. David received undergraduate degrees in Computer Science and Philosophy from Calvin College and a Master’s degree in Information with a specialization in Human-Computer Interaction from the University of Michigan. He loves traveling, listening to and reading good stories, fidgeting with technology and is an avid fan of the game of football (soccer). At Ahaspora, David brings extensive experience to the team with his leadership and technology expertise, providing management and oversight to Ahaspora programs and partnerships. Freda is Ahaspora’s Programs Chair, meaning that she is responsible for ensuring success for all Ahaspora programming. She is a Global Public Policy professional with a regional focus on Africa. She spends her days coordinating and writing reports for USAID West Africa Programs and her leisure running competitive races in various cities in the world:Vienna, Nice, Washington DC, Barcelona, Paris, London and Accra (with the opportunity to raise funds for charity: cancer research & treatment). She assisted with planning the 2013 Accra International Marathon, and is involved in planning The Valentines Day 5k run/walk also in Accra. Freda also has a running club, RACE Ghana, a hub for runners of all levels. Along with running races, Freda runs a lifestyle blog www.fabfitfine.com, where she writes on health, nutrition and beauty with the aim to keep Ghanaians and African s healthy! Francis is a financial services professional, working in investment banking and structured credit for nine years. He has worked in diverse roles both in Ghana and the United States. He was a Structured Credit Analyst doing performance analysis on collateralized debt obligations (CDOs) at Fitch Ratings Inc “Fitch”, an international bond rating agency in New York City. He currently works at Liberty Capital Ghana Holdings taking a diverse range of roles including research analysis, investment management, compliance and most recently managing the corporate finance and advisory practice at Liberty. Beyond finance and investments his professional interests also include infrastructure development, economic development, strategy and business development. Francis holds a Bachelor of Arts Degree in Economics from Vassar College in Poughkeepsie, New York, USA. He is a self confessed technophile and IT enthusiast. He loves tennis, squash, basketball, cricket, swimming and football and bleeds the blue of Chelsea football club. At Ahaspora, Francis lends his financial management expertise by helping the organization manage its financial activities. He also helps with fundraising activities. Mary is currently the General Manager of Barbex Technical Services, a 25 year old business providing mining support services to the mining industry in Ghana and Ivory Coast. Prior to joining Barbex she was an Operations Associate with TransAfrica Forum, a non-profit organization based in Washington DC that serves as a policy, educational and organizing center that influences US foreign policy concerning Africa and the Diaspora and promotes African American solidarity with civil society. She holds a Bachelor of Arts degree in Political Science and Global Studies from Wilfrid Laurier University, Waterloo Canada. Also, she recently began her journey to become a CIMA qualified professional. Outside work, Mary loves to spend time with her family and loves the opportunity to mentor others and give back to society. She has participated in several volunteering programs such as Reach for Recovery: Cancer Awareness and Bike for Aids. She is also an ardent supporter of Joyful Way Incorporated, a ministry that is focused on youth evangelism. At Ahaspora, Mary runs our knowledge bank, making sure that all our meetings and activities are adequately documented to promote effectiveness and sustainability of the organization. Aba is currently the Human Resource Manager at Ashesi University College. She is a Work and Organizational Psychology Practitioner with over six years’ experience in Human Resources (HR) Management in Ghana, Liberia, and Nigeria, as well as customer care experience from the United Kingdom. She has also worked with developmental researchers in areas of health, youth development, girl child education and work psychology. With diverse experience working with several multinational companies, she has insight into developing organisational culture that balances high performance, while providing freedom and flexibility to be innovative. When she is not managing human resources, Aba facilitates career development activities and contributes to implementing the mentoring program with the Ahsapora team. She also takes personal interest in raising funds and useful items for street children and has served as a resource person for Orphan Aid youth rallies. She is currently developing her passion for baking into voluntary lessons for interested youth to occupy themselves.